Snapped this 70’s style postcard shot out the window with an iPhone 4S while my copilot took the reigns of our Cessna 172. Twenty minutes or so earlier, and in homage to Maverick’s surf break, I landed at the WWII Half Moon Bay flight strip on runway 03. The trip from San Carlos to Half Moon Bay airport had been a short jump over the range. 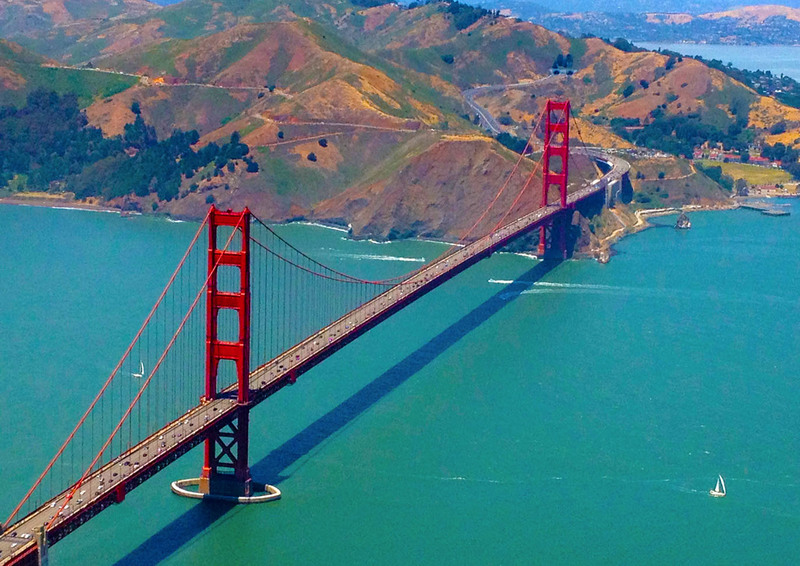 The coastal flight north along the quake-shaped landscape is thrilling, only to give way to the iconic bridge. Turned right over the city and eventually back to San Carlos after getting routed around SFO.